When patients have teeth that are crooked or poorly spaced, they can count on Dr. James Altomare for great dental care. He has helped numerous patients in and around the Skillman have straight and beautiful smiles. Invisalign® is a popular treatment for crooked teeth, especially for teens and young adults. Let's go over the basics and look at a general timeline for treatment. Invisalign® is an alternative to traditional orthodontic treatment using braces. Rather than brackets and wires, Invisalign® involves the use of custom-fabricated plastic aligners. When in place and worn, the aligner trays help shift the teeth into proper position. Since there are not brackets and wires involved and the aligner trays themselves are clear, patients who undergo Invisalign® treatment can laugh, smile, and speak naturally around others without anyone noticing that an orthodontic procedure is underway. Invisalign® patients will wear their aligner trays at all times except for when eating, drinking, and cleaning their teeth. For special occasions and social functions, the Invisalign® aligners can be removed as needed. One aligner tray isn't enough for the full process. 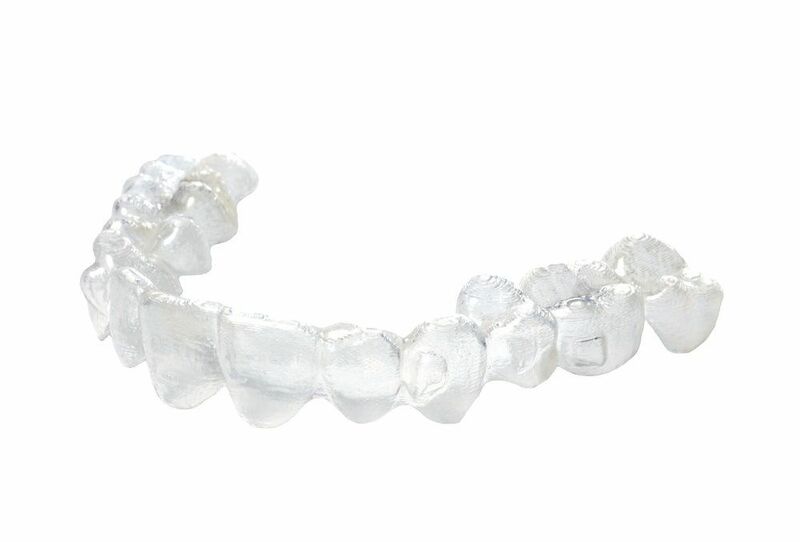 A full series of computer-designed aligner trays is created so patients will have gradual changes to their teeth occur during the full run of the treatment process. A new Invisalign® aligner will arrive every two weeks. Patients will switch out the old tray for the new one in order to continue the teeth straightening process. During the months of Invisalign® treatment, patients may notice soreness when wearing a new aligner tray. This is natural as your teeth become more accustomed to the changes in shape. With each new aligner, patients may want to consider first wearing it at night so they sleep through some of the initial discomfort. Sucking on an ice cube may also be ideal to help alleviate some of the pain. This tends to be less of an issue as Invisalign® treatment progresses. At the end of the full run of aligner trays, addition treatment may be required, such as minor tooth reshaping or cosmetic treatments for aesthetic flaws in spacing and shape. These will all be discussed during the initial consultation, allowing you to understand the full treatment process. How Long Does Invisalign® Treatment Take Overall? In terms of the overall treatment timeline, Invisalign® takes roughly several months to one year to be completed. A little more time may be necessary in some cases, but this is a typical general timeframe to consider. How Does This Compare to Traditional Braces Treatment? Overall, several months to one year is the same amount of time that a patient can be expected to wear traditional braces. In essence, Invisalign® offers the benefits and results of a traditional orthodontic treatment in the same amount of time but without any of the hassles. That's why so many patients love it so much. For more information about Invisalign® and if it's the right treatment option for you and your needs, be sure to contact our cosmetic and restorative dentistry center today. Dr. James Altomare and the entire team at the practice will work closely with you to enhance your dental health and wellness.